As you age, you may notice that your hands become drier and crack more easily. They may also become red or even peel, and all of these are signs of seriously dry skin. Cracks in your fingers can make even the simplest tasks, such as typing, turning a page, or doing up a button, very painful. 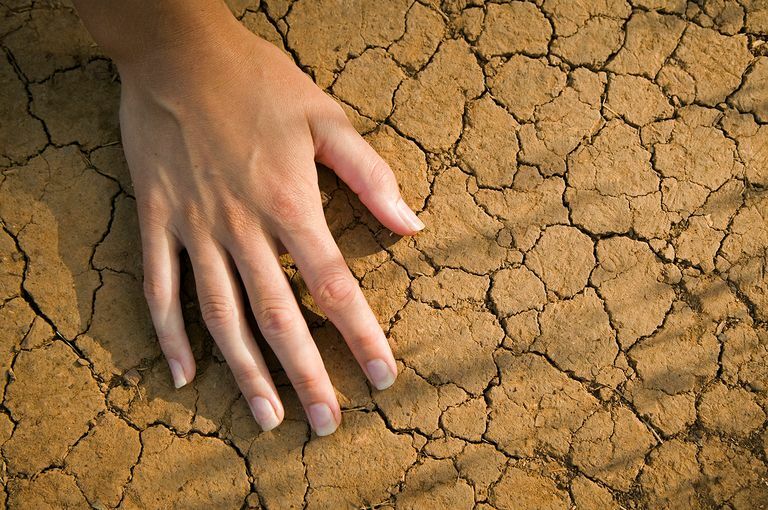 Medically, dry skin is called xerosis. It is often a natural part of aging, though it can also be an early sign of a condition such as dermatitis. Most often, skin becomes drier and more irritated in the winter months. The most common signs of severely dry skin are rough, flaky, or scaly skin. You might also notice that your skin is red or, if you have darker skin, it may appear grey. An itchy feeling is the most common symptom. If your skin becomes too dry, the cracks may begin to bleed and the pain may intensify. According to Reed, cracks or “fissures” near your nails are “small, but powerful enough to get your attention.” It can even become so painful that it wakes you up at night. These cracks can become infected if bacteria enter the open skin. With age, everyone's skin naturally becomes thinner and drier. The sun, wind, and other elements we expose our skin to over the years can take its toll on the health of our skin. According to the American Academy of Dermatology, people with psoriasis are also prone to the severely dry skin. Your occupation or hobby may contribute to dry skin over time as well. People who wash their hands often, such as nurses, or who regularly expose their skin to chemicals are more apt to have dry skin. The best treatment, according to Reed, is prevention. If possible, avoid over-washing, especially with lathering soaps containing detergents that can further dry the skin. Moisturize several times a day with a thick, emollient (lubricating) hand cream or lotion. Look for ingredients like petrolatum, wax, and shea butter. A gentle hypoallergenic cleanser like Cetaphil tends to irritate skin less than soaps that contain lathering detergents. Since Cetaphil won’t kill bacteria or viruses, you can avoid spreading the flu or other germs by using anti-bacterial gel hand sanitizers. While these gels contain alcohol, Reed finds that many of her patients with dry skin tolerate them better than they do repeated hand washings with soap. If your job requires frequent hand washing or wet work, such as hair stylists or daycare workers, wear latex or vinyl gloves to protect your skin from water and harsh chemicals. For dry work like gardening, try wearing cloth gloves. Additionally, the National Institute on Aging recommends taking care of your skin with adjustments to your daily routine. Less time in the sun, shorter and cooler showers and baths, and drinking a proper amount of liquids can help. Smoking and stress can also exacerbate symptoms, so avoiding those is a good idea as well. Believe it or not, a popular solution for painful skin cracks is super glue. Part of a group of adhesive chemicals called cyanoacrylates, super glue can be used for very superficial cuts and cracks, according to Reed. While it should never be used for deep wounds and is poisonous if swallowed, super glue “is quick, easy, and stays where you put it,” says Reed. It is also recommended that you do not use super glue on a regular basis. Another cyanoacrylate product called Dermabond was specifically designed to seal skin tissue. It has been approved by the US Food and Drug Administration (FDA) for surgical use, and for superficial lacerations. Skin must be thoroughly cleaned before applying, to prevent infection. Ask your doctor if they can recommend a similar product that is available over-the-counter (OTC) for regular use. Reed recommends speaking to your dermatologist or health-care provider if your hands are causing you discomfort. In particular, seek medical attention immediately if your hands are swollen, bleeding, have a honey-colored crust on any cracks, or if you see red streaks moving up your arm. These are symptoms of a more serious infection. It's also important that you not let dry skin go unchecked. It can be a sign of a more serious condition such as dermatitis, diabetes, or kidney disease. The older you get, the drier your skin will become, this is only natural. As you age, proper skin care, particularly in the winter or dry environments, becomes more important than when you were young. Take daily measures to keep your skin moisturized and talk to your doctor about any concerns you have. American Academy of Dermatology. Dry Skin, Public Information Sheet. 2016. National Institute on Aging. Skin Care and Aging. 2015. Reed, Barbara. Clinical Professor of Dermatology, University of Colorado. Personal interview. January 17, 2013.